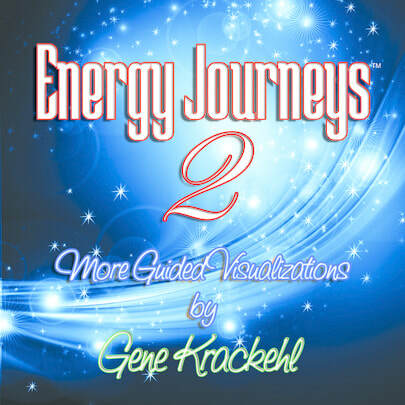 This group of guided visualizations picks up where the original Energy Journeys leaves off and as with all of Gene's CD's, the music was composed and performed by him. Written and narrated by Gene, your journey begins with a deep relaxation phase in his usual soothing style. Then, as all of your senses are engaged, you travel to an exotic location to enjoy a relaxing mini-vacation on a beautiful island. As you move to another dimension, you are brought to an ancient mystical forest where you will experience a memorable encounter. You now journey to a whimsical castle made of clouds where you might just re-capture some of the knowledge and wisdom from your past. Other intriguing destinations await as you continue to release and resolve your present issues — on the road to healing yourself, physically, mentally, emotionally and spiritually. It's also a great CD for Energy Healers to use while working on their patients and it can be experienced as often as you like. We have received early reports of benefits increasing incrementally by those who have listened to it more than once. If you collect Guided Visualizations, this could be a fantastic addition to your collection.